Its holiday season again and your family back home is excited to receive gifts from you. They probably requested what they want for Christmas and they are expecting to see these items inside the balikbayan box. Many OFWs tend to spend and send more during the holidays as a way to get even for the lost time with the family together. 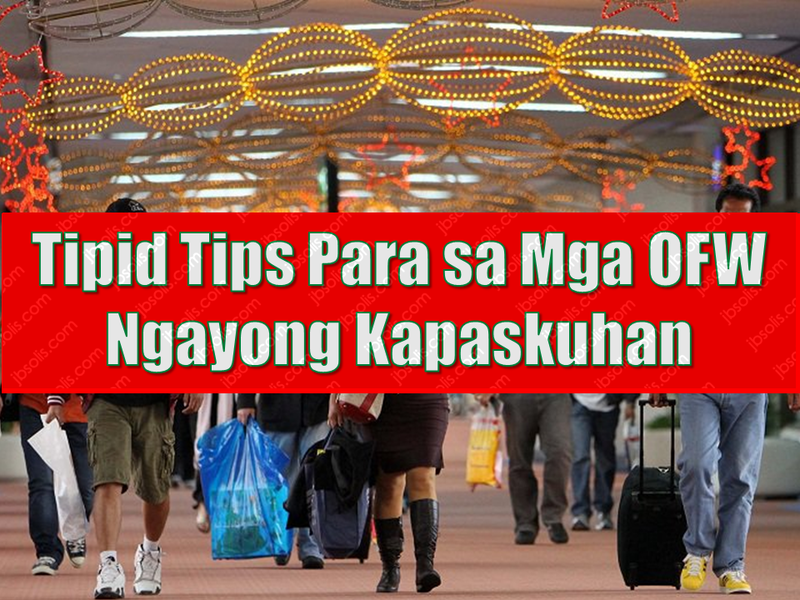 The usual mind set that OFWs have plenty of money become more imminent during the season. Do not let the holidays stress you out. We provided tips you need in dealing with the holidays and getting out of this stressful situation victoriously. 1) Set your budget ahead of Christmas and make sure you stick to it! First and foremost before plunging into Christmas shopping, you must determine how much do you have and how much do you plan to spend. Know your limits and do not spend beyond your means unless you are planning to return to your host country with empty pockets, or worse, engulfed by neck deep debts. Do not pretend to be rich when you know it is far from reality. Spend wise and you will never regret it. 2) Make a list of people you plan to give gifts to. You don't need to give everyone a gift. Make a list. This will help you keep track of your spending and you won't miss out anyone that is closest to your heart. Being practical means a lot. 3) Learn to say "no". Your kids has unlimited list of things they want, and because you want to make up with the times they spent without you beside them, you tend to cover it all up with material things that they want. unfortunately, it is not the wisest thing to do. The best way in handling it is to impose a one-gift policy. Let your family choose what they want for Christmas but you still need to check if it is within the budget. Explain the need to budget your spending to them. It also applies to relatives and friends. 4) Do not be deceived by freebies and "limited offers". Do not let these marketing strategy by malls and supermarkets get you. Things really aren't what they appear to be. Those "freebies" are there to make you spend more and you are actually paying for them. Stick to your list and go only for what you can afford. 5) Spend your Christmas bonus wisely. Did you received a Christmas bonus? Hold onto your horses and don't get too excited just yet. You can use it for something more practical than spending it all to make everyone "happy". You can use the money for paying off your debts or keep it as a savings that you can use should emergency comes. You will never know when do you need a contingency budget and it is better that you saved some amount for future use. You can enjoy the holidays without spending everything you have up to the last centavo. Christmas is about family and togetherness, all that matters is the quality time you spend together and not the material things you can give .